Step 1: First, log into your VISION System. 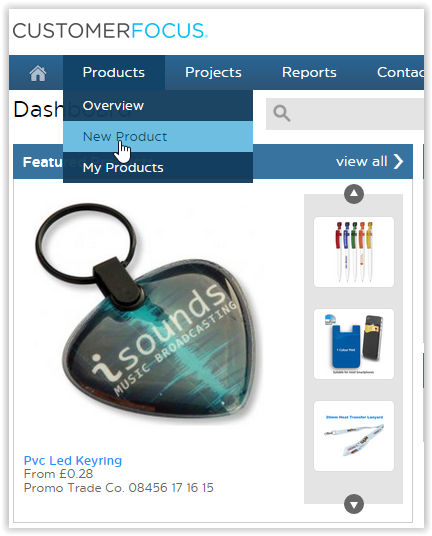 Step 2: Hover over the Products tab and click Add a Product. Step 3: You will see the screen below. The best thing to do when adding a product is include as much information as possible. Required tabs (Name, Code, Category, Vendor) must be popluated in order to move forward. 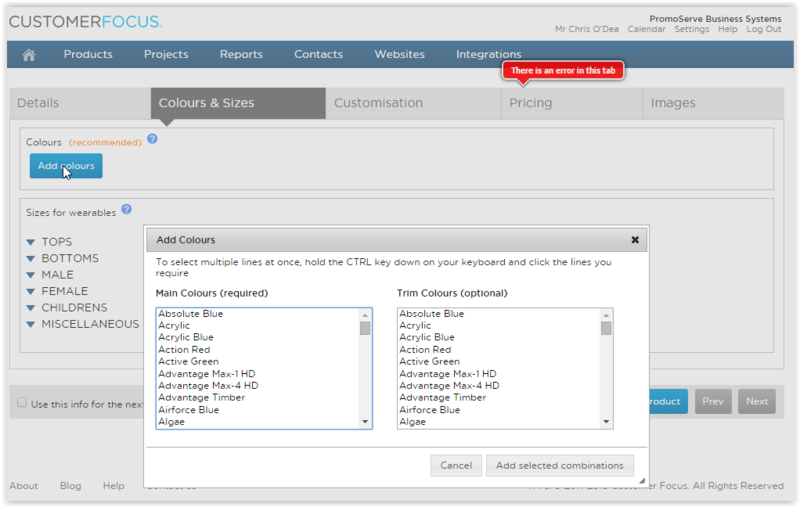 Step 4: The Colors & Sizes tab allows you to add color options to you product. Click "Add" color. You can add multiple color options and options for the type of wearable needed. When you have clicked "Add color" then Main Color "Select" you will get a list of colors to choose from. 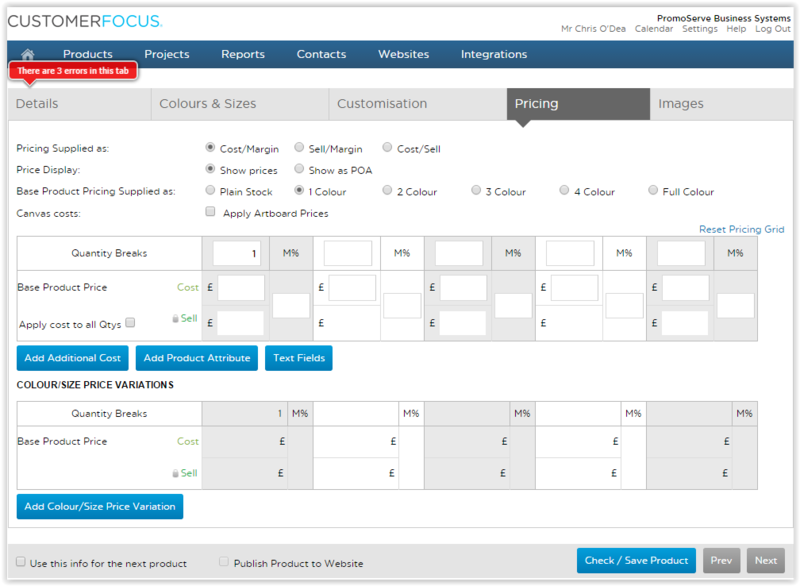 Step 5: The Customization tab allows you to add printing methods, such as embroidery, screen print, and location of the method. 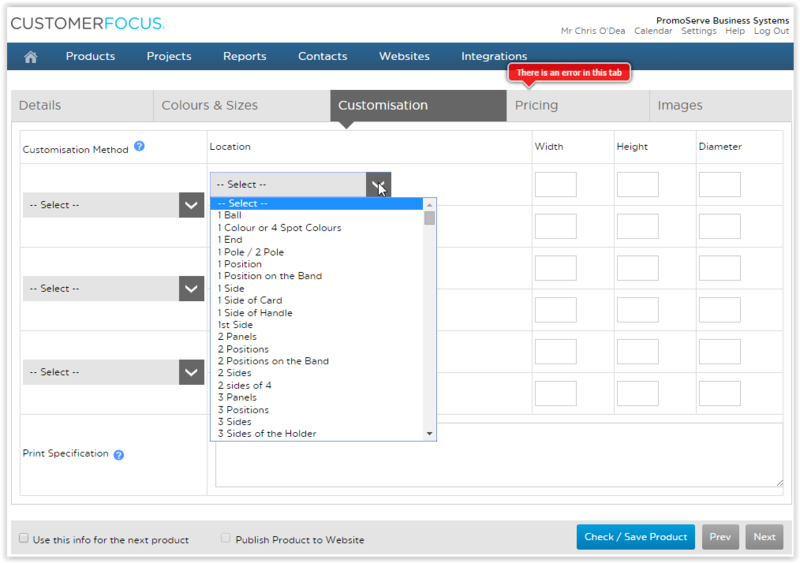 Select your customization methods from the drop down. 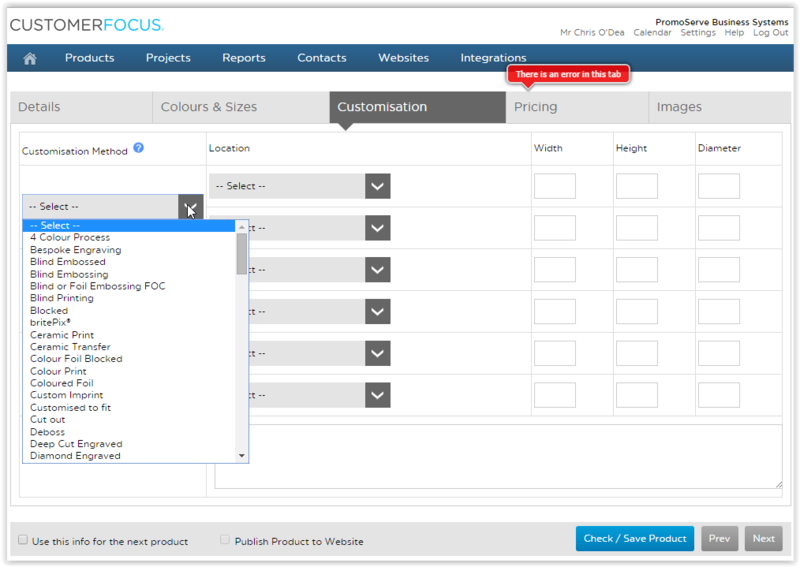 Step 6: The Pricing tab allows you to add pricing information to the product. 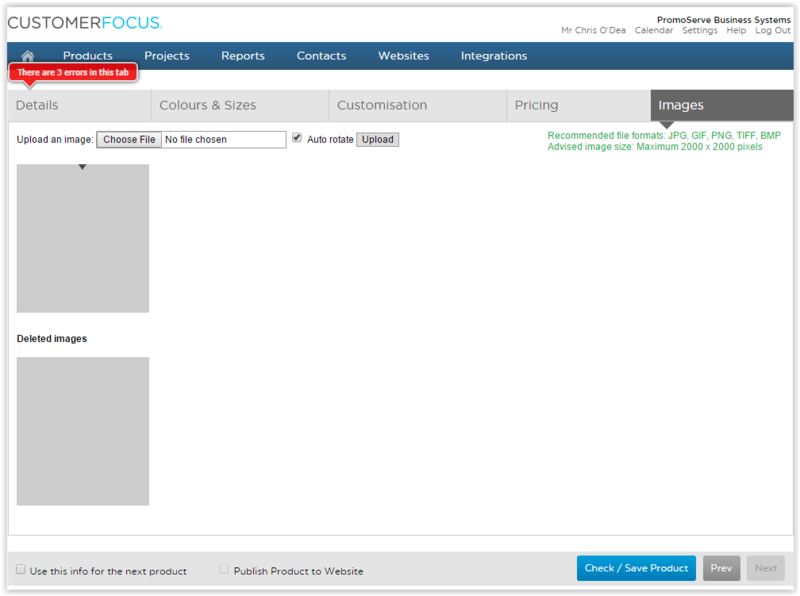 Step 7: The Images tab allows you to add a product image. Click browse and then find the image you want on your local computer and upload it. 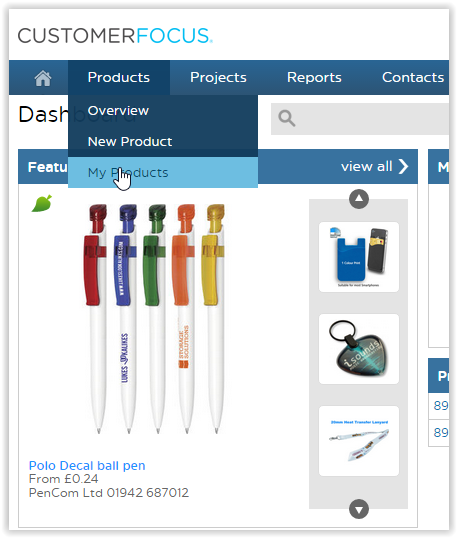 Click the button at the bottom right of the screen to save the product to your database. 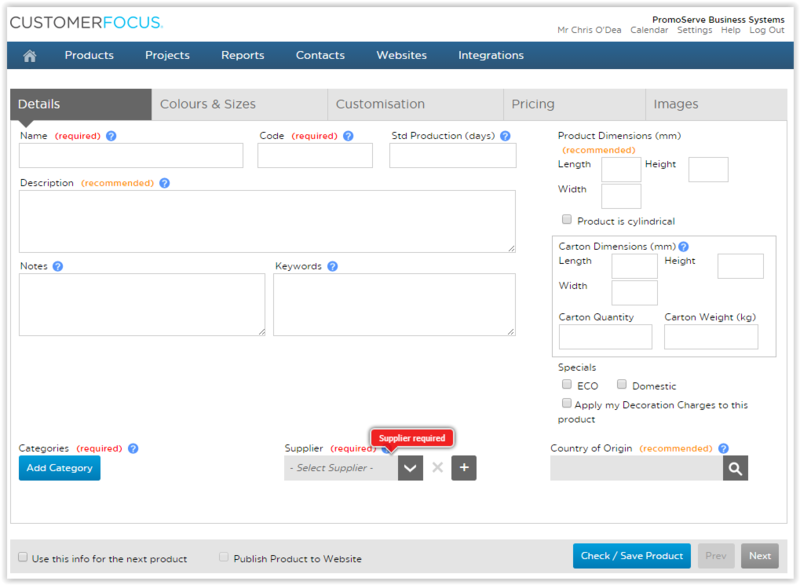 Step 8: After all product information has been added, check Publish Product to Website and click Check/Save Product to make the product live in VISION. Step 9: All products added to VISION are located in My Products.